How the investment landscape has evolved? Why are deflationary pressures on the horizon? The cryptocurrency trend of the past few years has continued to grow despite widespread predictions that it would just be a flash in the pan. Blockchain is suddenly everyone's favorite buzzword. But what if there's more to this story than meets the eye? What if Digital Currency is about to change the world in ways beyond our imagination? 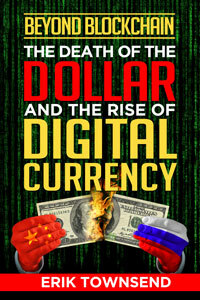 And what if geopolitical forces our politicians don't even understand have already inspired China and Russia to use Digital Currency to attack the U.S. Dollar's dominance over the global financial system? Erik covers these subjects and more in his recently published book.Listen to a preview of Chapter 1 here. Keith has been a regular market guest on financial TV and radio for many years including CNN and Fox Business, as well as a contributor for CNBC and Bloomberg. 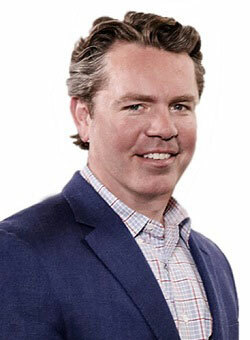 He now hosts The Macro Show weekday mornings on HedgeyeTV which was featured in a Huffington Post story, "Meet The Man Who Wants To Build The ESPN Of Finance." He began his career as an institutional equity sales analyst after earning an economics degree from Yale University. While at Yale, he captained the men's ice hockey team to a Division I Ivy League Championship.